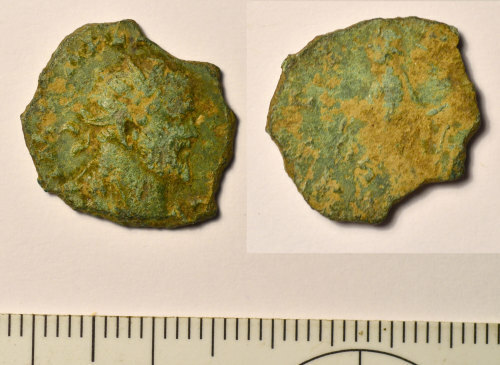 An incomplete copper-alloy Roman radiate of Allectus (AD 293-296), dating to the period AD 293-296 (Reece period 13). LAETITIA AVG (or derivative) reverse type depicting Laetitia standing left holding wreath and anchor. Possibly C mint. Cf. RIC V.2, p. 565, no. 75 passim. This coin has been considered for Sam Moorhead's corpus for RIC.